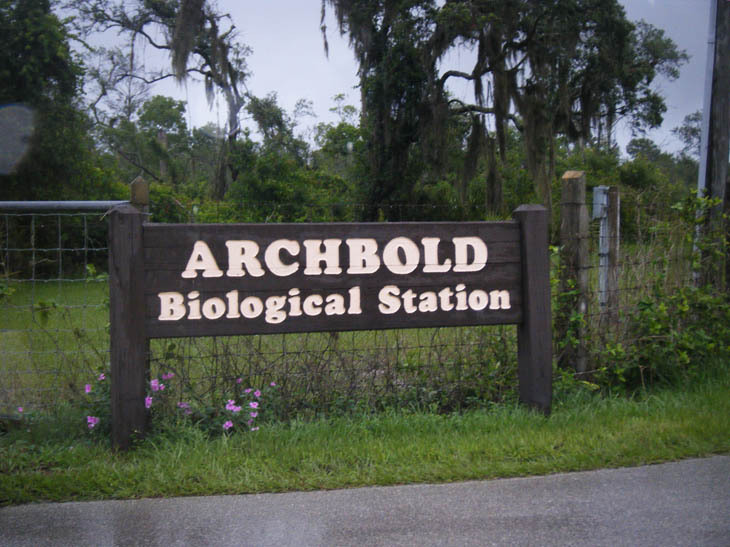 The staff at Archbold Biological Station asked me to stop by for a visit so we could discuss the potential of creating a integrative curriculum for Florida schools. 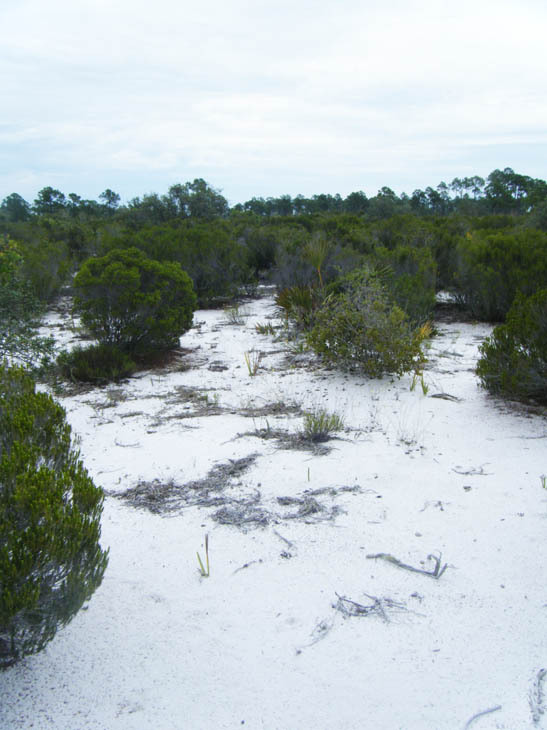 The curriculum would combine the language arts of reading with their mission of educating students on science and the Florida scrub. Of course I very excited about the possibility. Archbold has long been on my list of places I wanted to visit. It comes up again and again in the research of hundreds of scientists. I never made it there because it is a three-hour drive from my house and in the middle of the state, far from the I75 and I95 corridors. It is so amazing that Olivia Brophie has opened this door for me. So I left home at 6am and began the long drive. My mind speculated what the scrub at Archbold was going to look like. 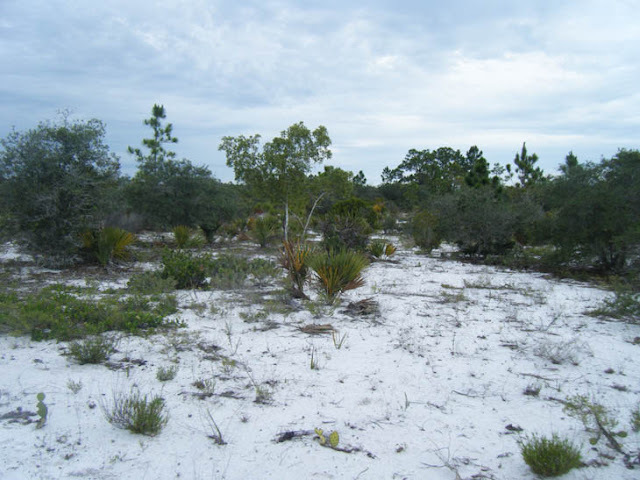 It sits on the southern end of the Lake Wales Ridge, the oldest and highest scrub in Florida. How would it compare to the sand pine scrub that I live in? Would I return home disappointed that my scrub is boring? Would I feel like an intruder? 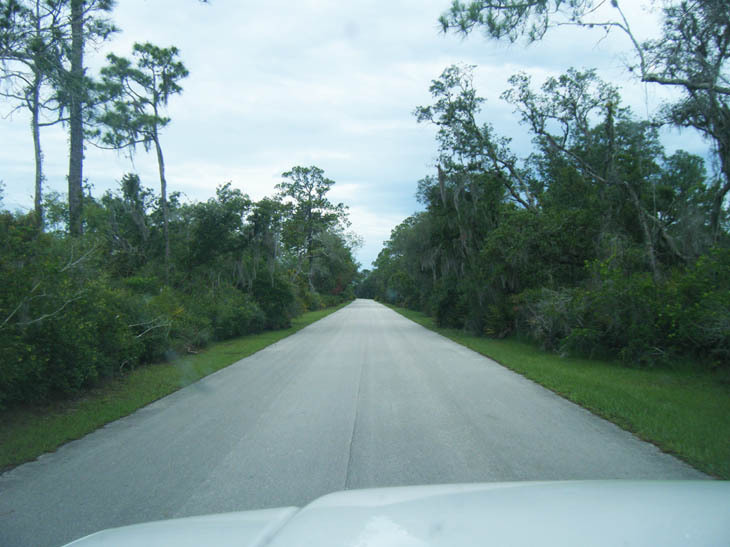 Highway 27 conveniently follows the Lake Wales Ridge south from I4. That convenience comes with a price: I only spotted scraps of scrub along the highway. 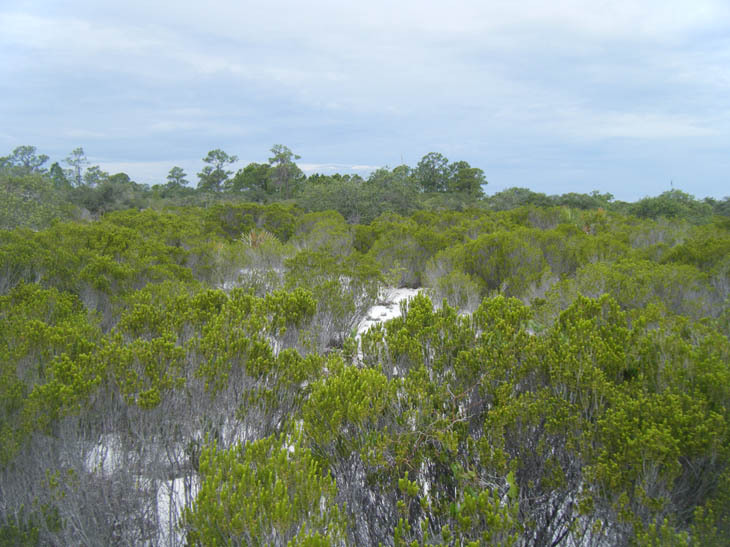 It was clear that this entire area used to support our most ancient of ecosystems. Now, the land was populated with citrus farms, pre-interstate hotels, and retirement communities. I passed Legoland, the newest version of what used to be Cypress Gardens. I drove through Avon Park and Sebring. Finally, I passed through Lake Placid, the proud Caladium Capital of the World. Ten minutes later, I was pulling into Archbold. Highway 27 actually splits the Archbold property, with the largest tract of land on the western side. The driveway was short, but the further I drove along it, the scrubbier the woods became. I soon found their new Visitor and Education Center. I was early for my appointment, so I looked around. It is a beautiful building and Leeds platinum certified. 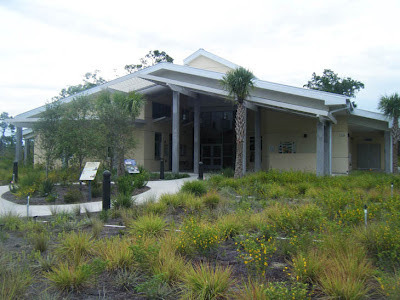 The native landscaping and open air interior really help it become a part of the landscape. I saw a pair of bobwhite strut into the grasses. I immediately thought of the Bobwhite Witch in my book. It would be the first of many sights at Archbold that can be found in the Pearl of Tagelus. The rest of the campus was built in the early 1930s. These fantastic old buildings evoked the feeling of an old summer camp in the Catskills. Certainly, this is a place out of time.An enchanted landscape like no other. 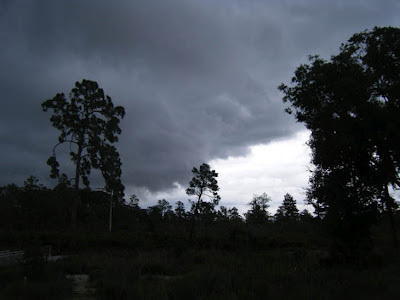 I had stepped into a place entirely outside of Florida, at least the Florida that I knew. This was a far cry from the landscapes we have created with cookie-cutter neighborhoods and strip malls. 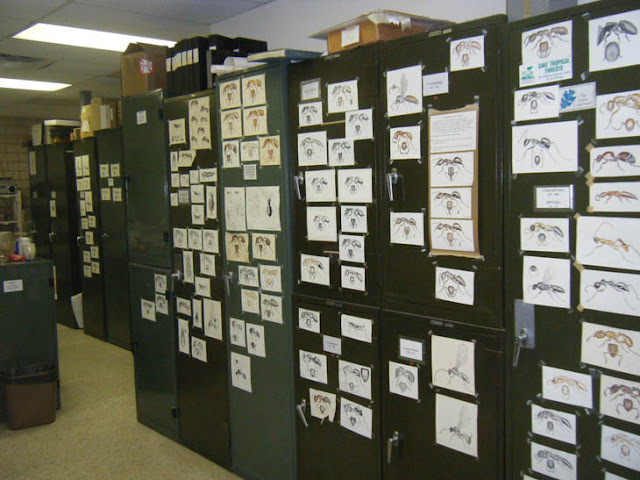 Artifacts from Richard Archbold's expeditions to New Guinea decorated the walls. I should note here that Richard Archbold, in part, served as a model for the character Uncle Milligan in the Pearl of Tagelus. 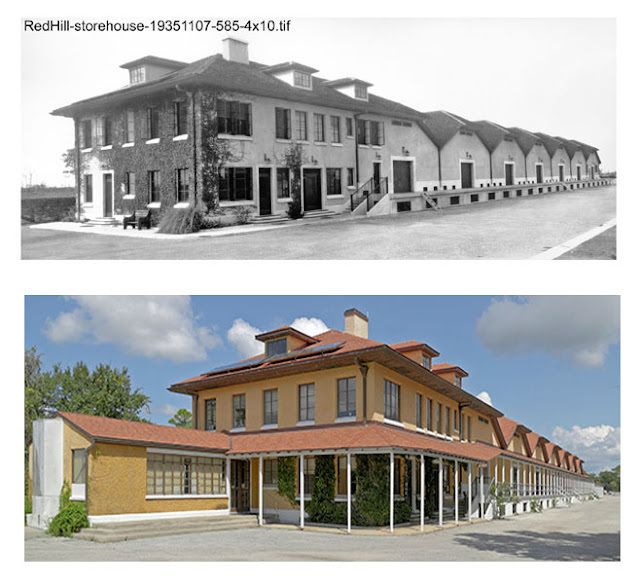 The Red Hill Storehouse now serves to house the varied research labs at the Station. I wandered about, waiting for my appointment. Pots of the rare Ziziphus celata, the Florida jujube, were lined up outside of the botany lab. Two research assistants were carefully brushing excess sand from a plaster cast of a bear track. Through the windows were tantalizing shelves, maps, and cabinets filled with who-knows-what. My worries about being an intruder immediately melted when I met the staff. I was quickly invited to a 40-year anniversary celebration and handed a piece of cake. Everyone seemed to know who I was. They were eager to discuss Olivia Brophie and, of course, tell me about the work they were doing there. The sense of family pervaded. This didn't feel like the starchy, competitive research facilities I was familiar with. This was truly an outpost in every sense of the word. 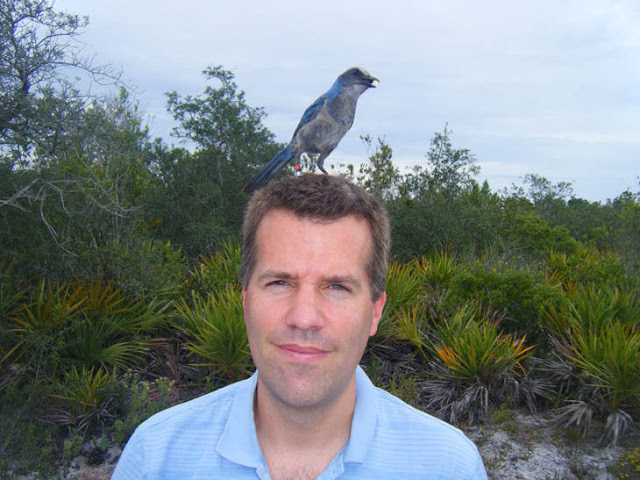 I met with Reed Bowman, the lead avian researcher at the facility. 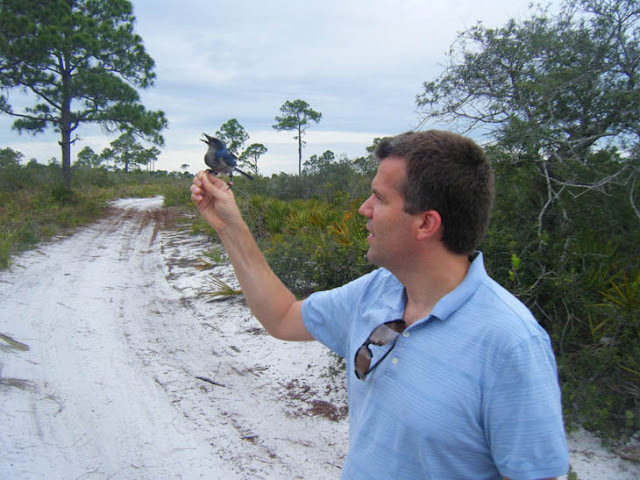 He and I are hoping to present at this year's Florida Associaciation of Science Teachers conference in October. Reed wanted to talk about our plans in the scrub and I was more than happy to oblige. We jumped into his truck and headed out to one of their rosemary balds. And what a great place the rosemary bald is! You immediately sense the specialness of this place, the ancient magic is thick. I had recently found a small rosemary bald in my scrub back in Lake County. But the immensity of this one was jaw-dropping. This is Olivia's world! As Reed was keeping a sharp eye out for one of the many scrub jays that live on the property, we found an old, filled-in tortoise burrow just like the entrance to Junonia. We found countless wolf spider holes. We found charming, unassuming scrub flowers that would be easy to miss. A closer look revealed an incredible, delicate beauty. I imagine a mystical scent flowing from those blooms, too faint for the human nose. I could easily sit out there all day and night. Reed was so much fun to talk with. His knowledge of the scrub ecology is incredible and yet he is still filled with a sense of wonder. I would soon find out that he wasn't the only researcher here with that spirit of discovery. Further down the road, we made a quick stop at what must be one of the more popular spots. A few raspy calls by Reed and a family of scrub jays flew a direct path to our location. Reed produced a handful of peanuts and the show was on! 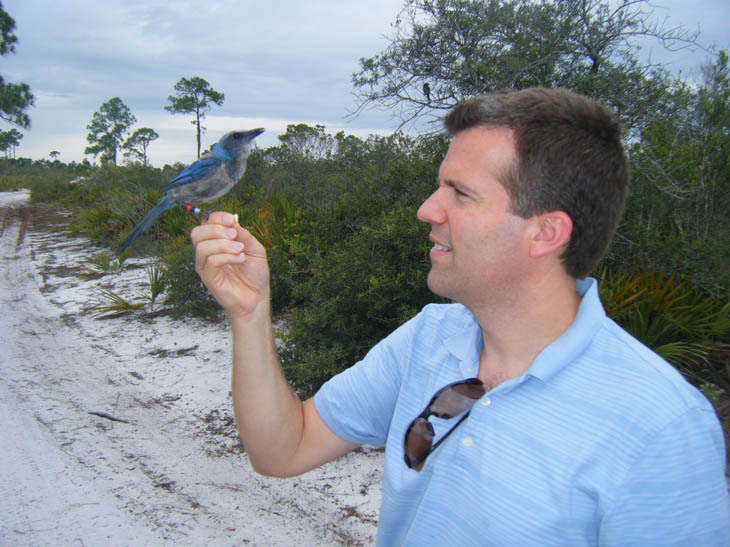 He introduced me to two jay brothers who are wonderfully hand-tame as scrub jays can often get. Apparently the brothers are so eager for peanuts that they often harass the researchers to the point of distraction. Lunchtime! Archbold was kind enough to provide me with a vegetarian option. I ate lunch with the Station's magnanimous director Hilary Swain. Her eyes sparkled as she asked me about Olivia Brophie and how we could combine our efforts in education outreach. She brimmed with ideas. It was also clear that she was a leader and didn't want to frivolously plow forward. How would we measure the success of our curriculum? Also at the table were Reed and his wife Charlotte, the education coordinator. Charlotte brought a lot of energy and experience to the discussion. She had read Olivia Brophie already and she definitely understood the book's ability to generate enthusiasm. Charlotte's energy and endless curiousity are infectious. I'll bet she is a joy to watch interacting with the kid's scrub summer camp attendees. Finally, Mark Deyrup and his wife Nancy arrived. Of course, I was now starstruck. 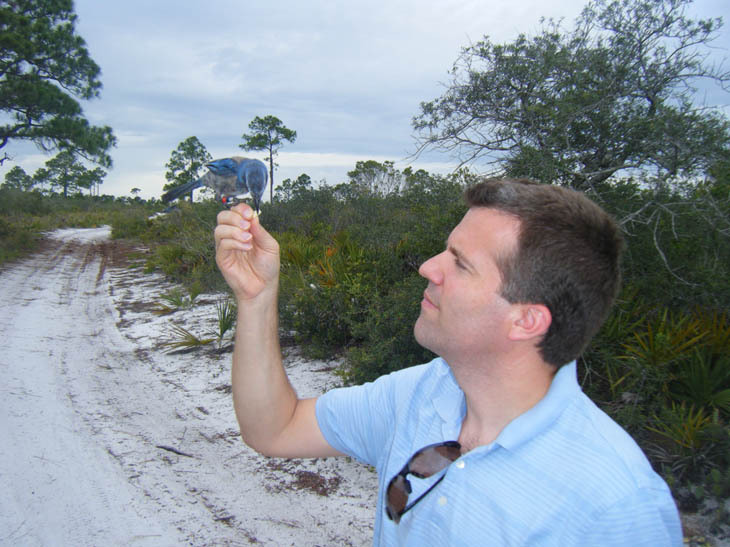 Mark is my Florida bug-hero. He has made so many discoveries that I'll bet we've lost count. They were both filled with the same endless passion for the scrub that the rest of the staff had. Mark is overflowing with interesting stories about insects. A bee that develops underwater. A moth that deliberately pollinates the yucca plant because its larval young feed on the seed pods. I had always thought that pollination was an accident, a by-product of the insect trying to get at the nectar. The yucca plant, in turn, ruthlessly controls how many eggs that moth can lay. A beetle that lives only in the tiny pool of water tucked away inside the palmetto. How burrowing wasps have multiple strategies for finding their burrows, even if the burrow had been destroyed. A small mole cricket that swims up the sand to a thin layer of algae that grows beneath the surface during rain. If there is a habitat, no matter how small or ephemeral, there is probaby an organism that lives specifically there. If there is an organism that stores food, there is another organism that has learned how to steal that food. And on and on. Mark has a poet's sense of the magic around him. I had written Olivia to be a dreamer, a character open to the amazing situations around her. In contrast, Doug is the scientist, the eternal skeptic. It was at lunch I realized that Olivia and Doug are not really at odds. In fact, science demands both dreaming and skepticism. How? Why? What if? Why not? These are the questions that let Mark and Reed see what is happening around them. Only after these leaps of observation and speculation come the tests and research. Turns out that Olivia and Doug were both sides of the same coin. My day finished with a tornado warning. I took this picture of the rotating cloud. Thankfully it never formed a funnel. I said goodbye to my new collaborators and I hope, one day, friends. Archbold Station practices science the way that you always imagined science should be practiced. They are allowed to follow their lines of inquiry even if it doesn't follow the lines of grant funding. I drove the long three hours home in the rain. I was tired but thrilled by what I discovered that day. pre-fabricated or franchised experiences. Places that embody everything that makes humanity amazing: history, the pursuit of knowlege, dreaming, the magic of nature. I had expected to learn a lot about scrub ecology, but I also learned something about Olivia! 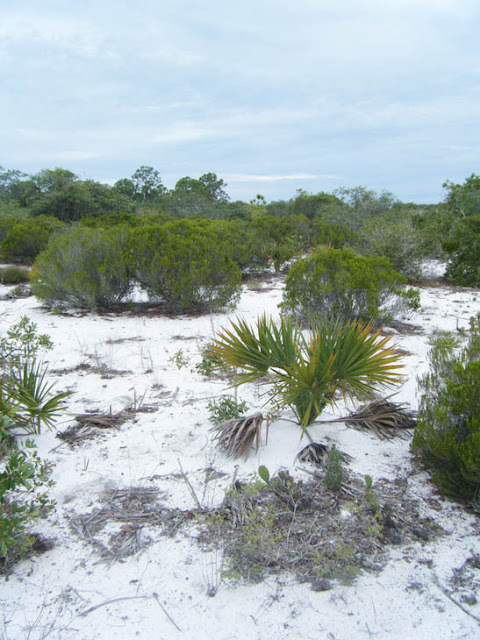 I am so happy that the Pearl of Tagelus will have the opportunity to introduce people to the Florida scrub. This amazing landscape is right under our noses and it is time for us to see the real magic of Florida.